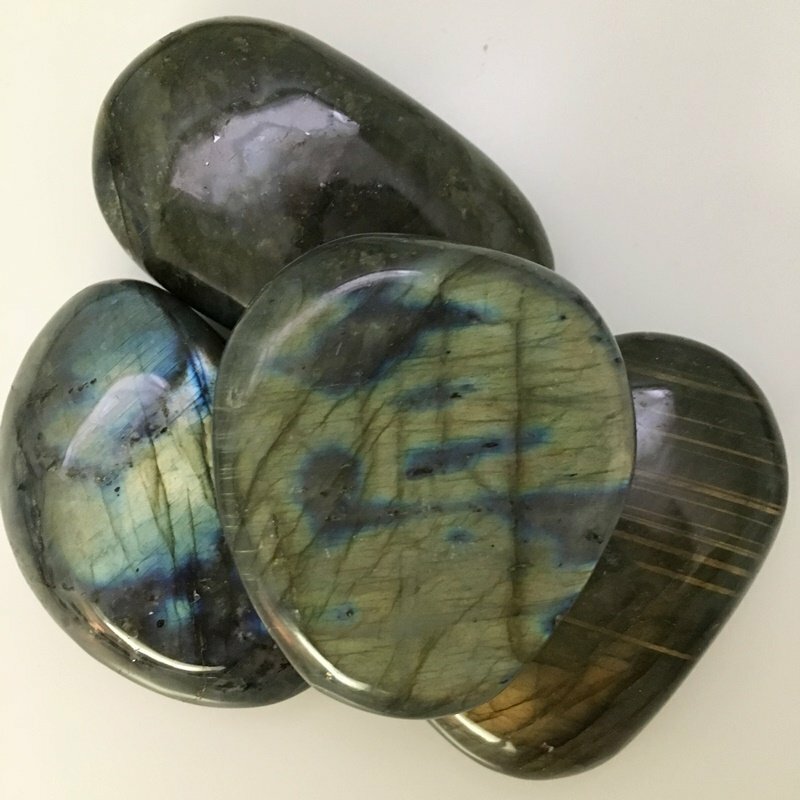 These nice sized pieces of polished magical Labradorite are full of shimmery blue, gold, and greens, and fit great in the palm of your hand. 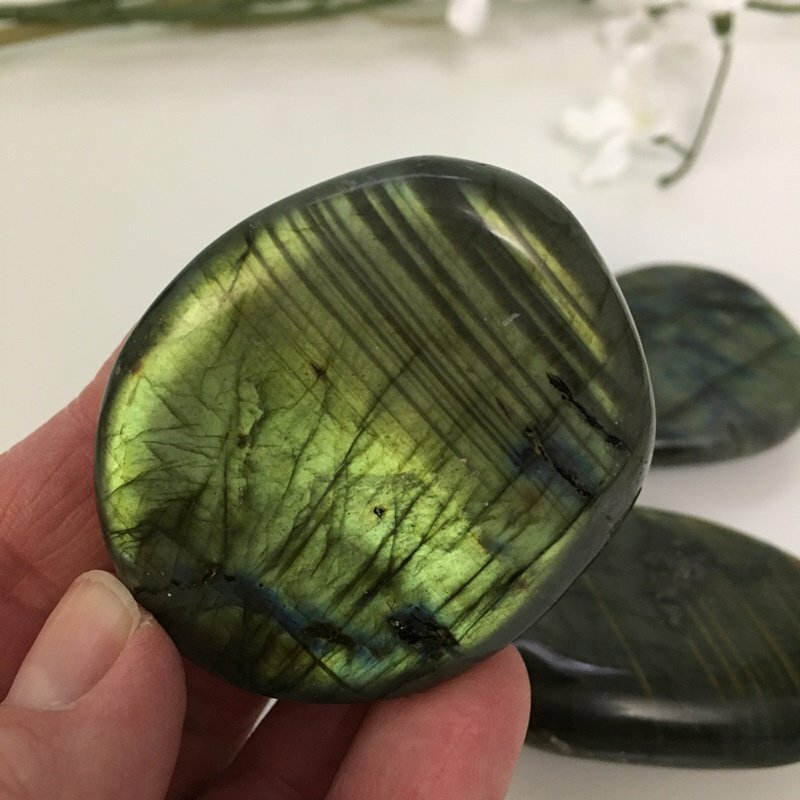 Labradorite helps us see the beauty in all situations (seeing beneath the surface), aids in our intuition during transformation, and can help us release judgement of our “shadow selves” and understand that we need both light and dark to survive. Cuts through negative emotions and leaves you feeling positive. 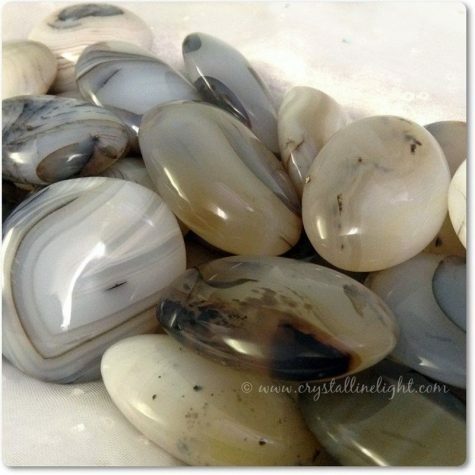 Helps access Akashic records to support present or Spiritual purpose. Aids in adapting to new energies and integrating them into your creative structure without impact or overwhelm. Connects us to a light grid of galactic energies. 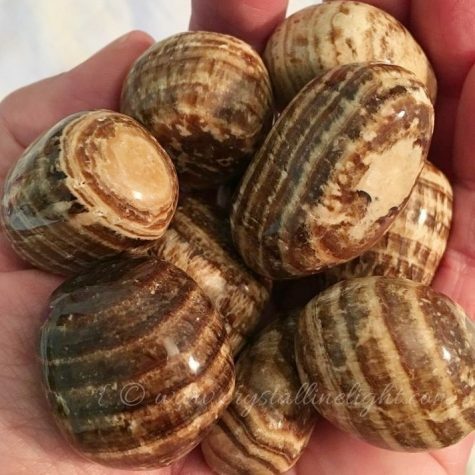 Roughly 1 1/2″ – 2 1/2″ in size.